Ships Monday, April 22 if ordered in the next 2 days, 11 hours and 2 minutes! 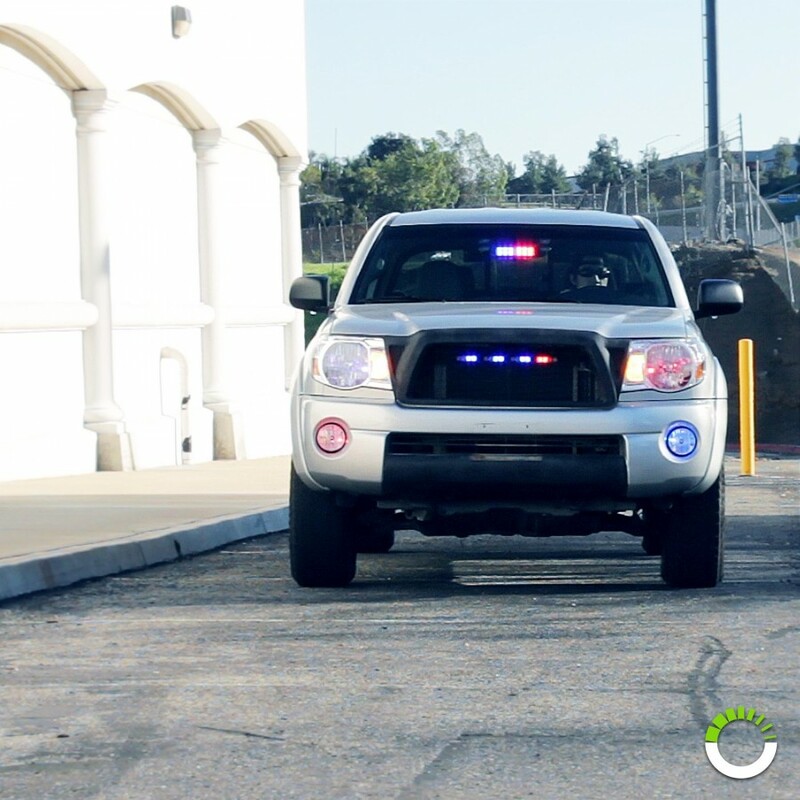 Whether you're a law enforcement officer or firefighter, our emergency LED dash strobe employs 12 potent LEDs packing 12 watts of power for superior visibility on the job. 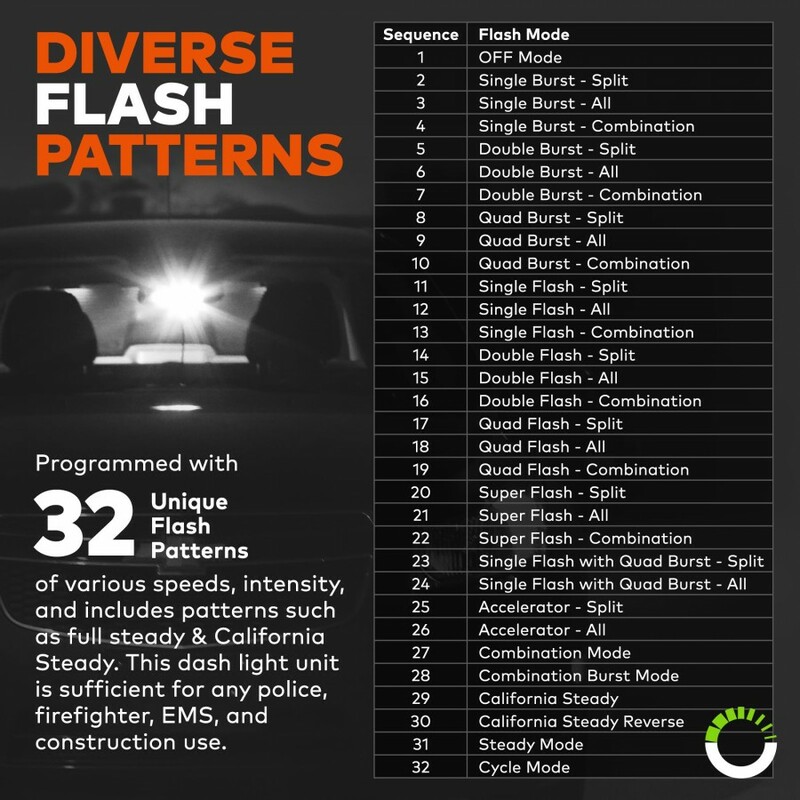 Select from 32 distinctive flash patterns, including Single Burst, Double Burst, and Random Burst. This highly-functional LED vehicle dash light even has a memory recall function which remembers the last pattern you used. 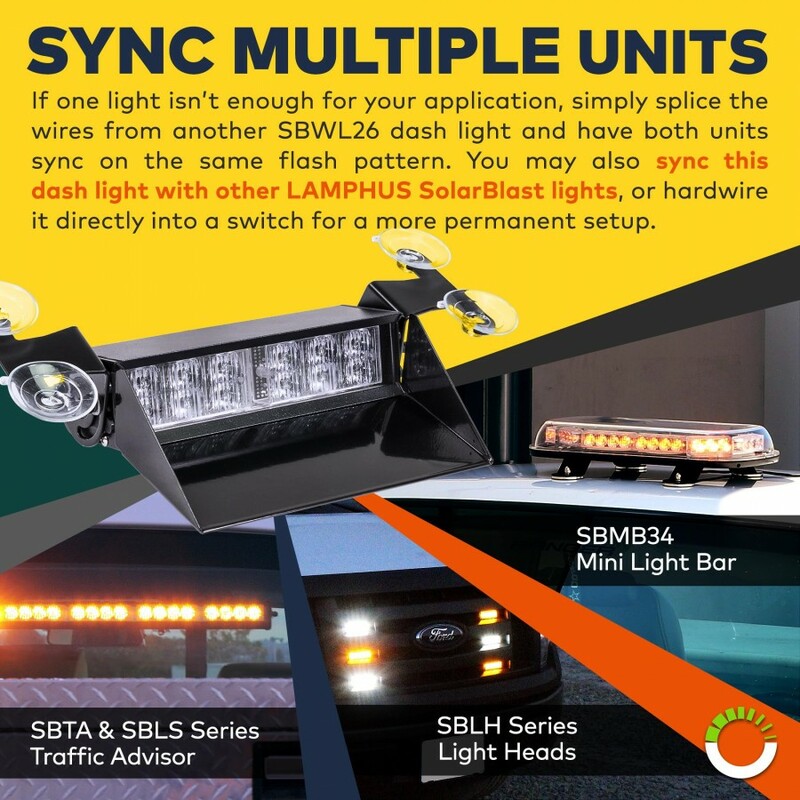 The SolarBlast SBWL26 LED dash strobe packs professional power and everyday accessibility: use the included cigarette lighter adapter to conveniently power the unit on/off and access steady mode. 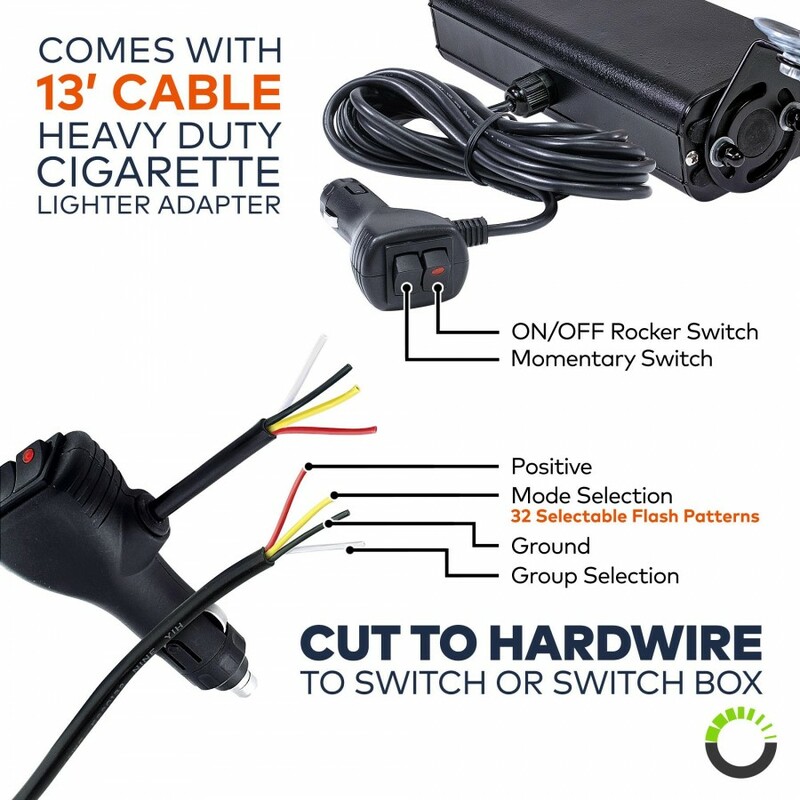 For easy wiring access and mounting options, our LED warning light has a 13 1/8' straight power cord. Syncing multiple lights is simple: splice the wires of each unit and select the same flash pattern for your desired use. 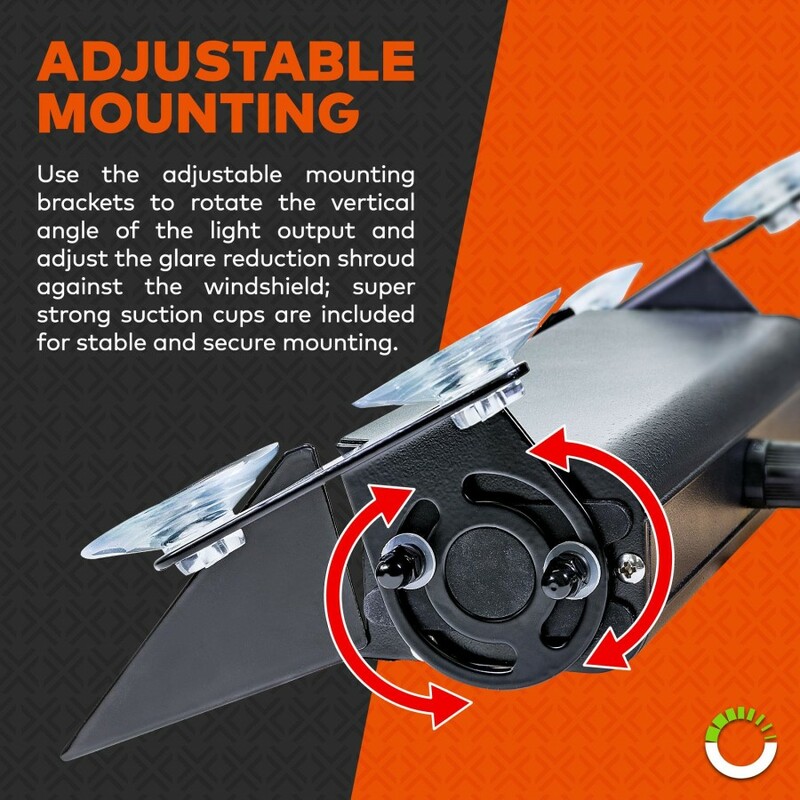 Adjustable mounting brackets and suction cups let you mount the high-intensity LED strobe on your vehicle's dash, deck, or windshield. 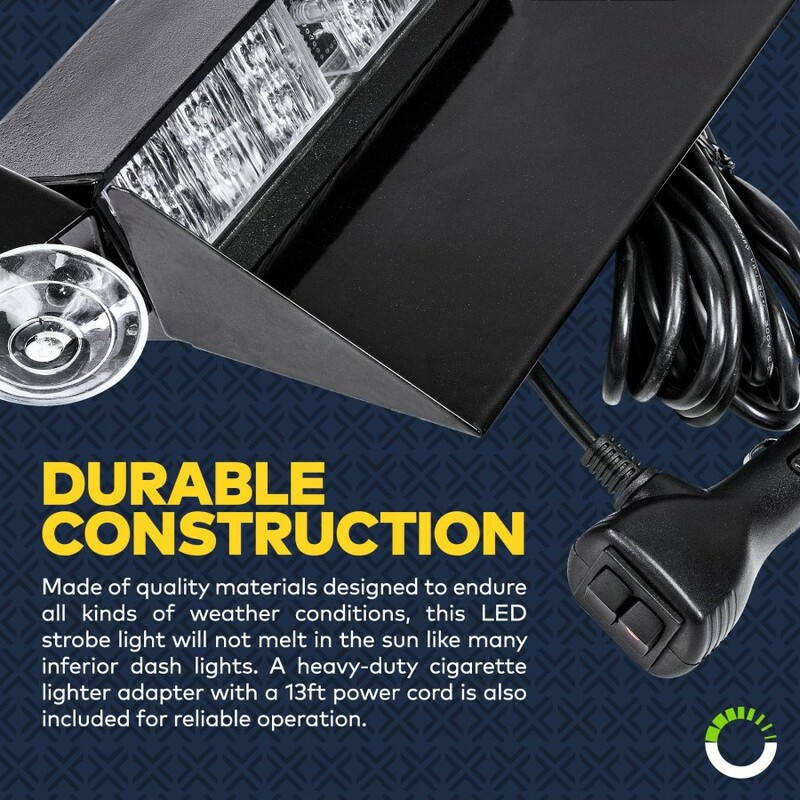 Crafted from ultra-durable metal, this emergency LED dash strobe is resilient enough to survive years of everyday use. 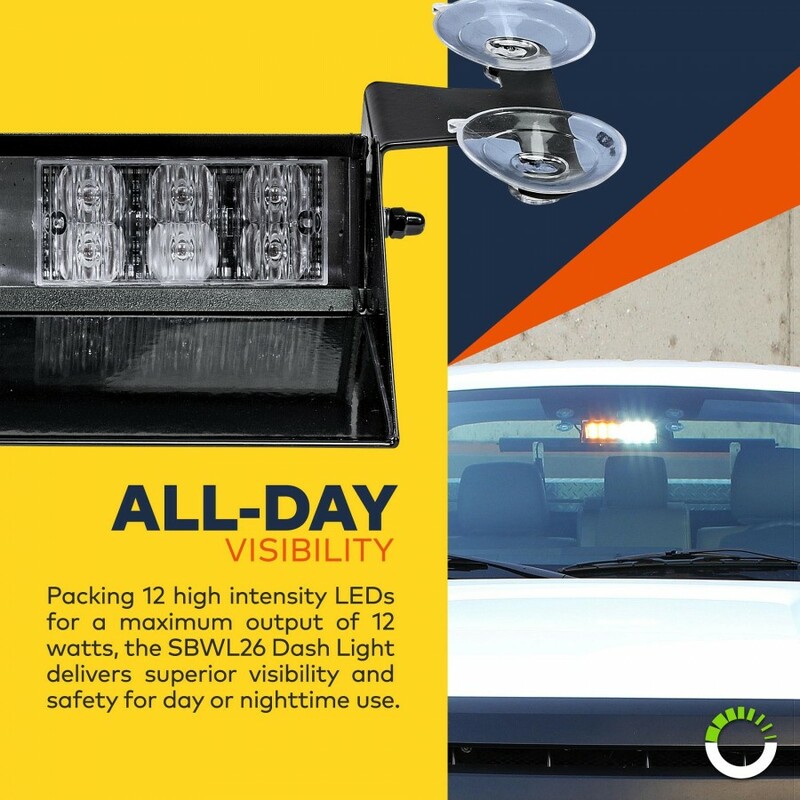 Its slim and streamlined design conveys a low profile look perfect for the discretion demanded by undercover cops, while its eye-popping LED illumination garners attention when you need it. 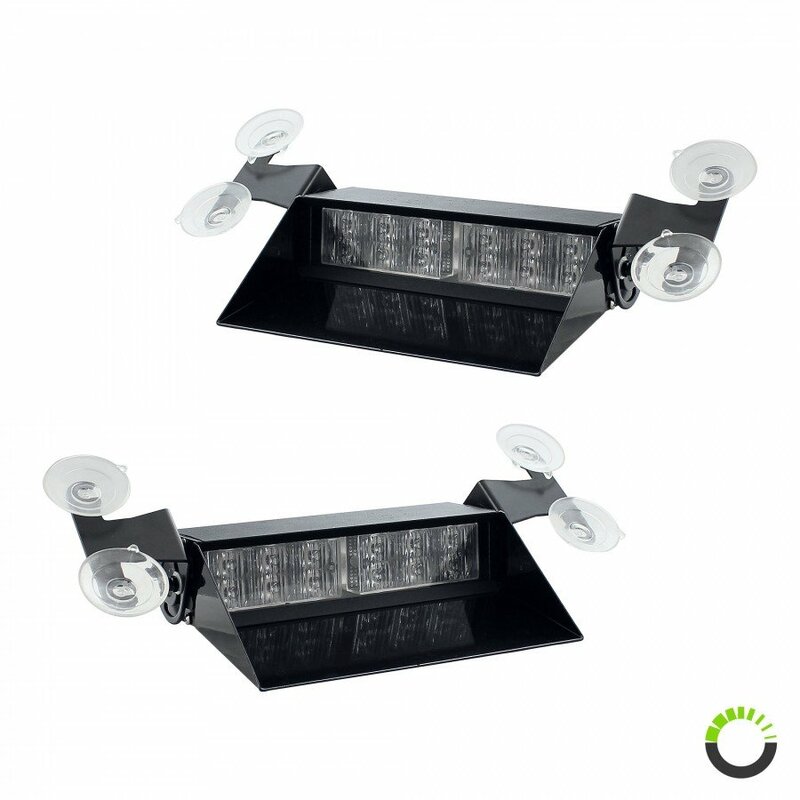 2pc SolarBlast 8" 12W Dash Light"
These lights are bright! I have been inside of law enforcement and EMS vehicles for ride alongs and let me say this. The Whelen and Federal lights inside of an unmarked car are unimaginably bright. The LAMPHUS Solar Blast blew them out of the water! Yes, I said it they smoked them. 100 percent! My Ford Ranger is now on par with most of the interceptors. Now I have amber and white lights since I have a civilian vehicle. I use them for work and for when I am off road. I no longer have any issue with navigating the city. If the streets are crowded and I need to get to a job sight fast, I flip these bad boys on and traffic moves over. I was blown away, was going to get Whelen lights, but not going to waste money on them when these are far superior! One of the best dash / window mount plug in lights I've seen. Suction cup mounts right up behind the rear view mirror - except for the power cord, you hardly notice it is there, considering how large it is. Very bright. It actually is surprisingly visible from the sides... The OnlineLED video for this light is accurate. Worth every penny, I've had it for over a year now. This light seems to be a quality built light. It is brighter than I expected, and was easy to start using. Shipping was fast, too. I would recommend this light. It was a little bigger than I expected. I mounted it in front of my rearview mirror, and it doesn't 'interfere with my visibility. Fast and FREE shipping, ordered on a Wednesday afternoon, arrived in the mail on Friday. Some assembly required, but very easy. The flash guard comes already attached. You must install the suction cup mounting brackets and the suction cups. All 4 suction cups come in a bag. Each suction cup comes with a plastic film cover over the suction surface. The suction cups also come with a little release tab on the edge. In addition, it comes with a paper that list all the functions and gives a description of all 21 flash patterns and what order they are in. The component diagram and details of the voltage, current and power specifications and general information is on the paper as well. Overall this is an excellent high quality product and I highly recommend it. This light is so bright its amazing! The suction cups work great and it holds tight. My buddy even bought one because he liked the light so much. This product is great. Got one for Fire and Ems and they are perfect. Totally worth every penny.